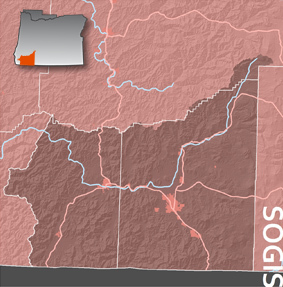 The Southern Oregon GIS Users group has met in some fashion for a number of years. Our group was formed to promote working relationships among GIS professionals in the Southern Oregon region. Meetings take place three times per year; spring, fall and winter. At the May 2001 meeting, the members voted to become a section of URISA, the Urban and Regional Information Systems Association. URISA has pledged to provide support to our group to enhance and cultivate the efforts being undertaken at the local level.